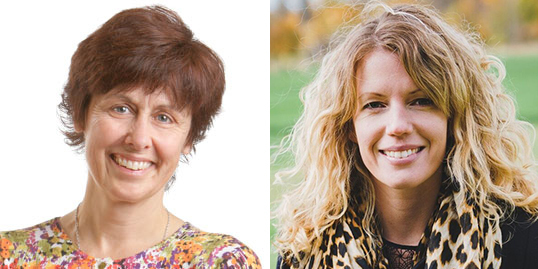 Prof. Florian Martin-Bariteau, Director of the Centre for Law, Technology and Society, is delighted to announce that the Centre’s Management Committee approved the appointment of two new Associate Members: Kristen Thomasen and Jacquelyn Burkell. The Centre for Law, Technology and Society is the leading Canadian research group in Law and Technology. In welcoming those scholars, the Centre strengthens its policy expertise, now includes 21 full-time regular professors and nine associate members teaching and researching law and policy in the fields of technology, innovation, security, privacy, information, communication, intellectual property, science, and traditional knowledge. Kristen Thomasen is an Assistant Professor of Law, Robotics & Society at the University of Windsor, Faculty of Law. She researches and writes about the legal, social and ethical implications of robotic and autonomous machines, and she teaches Robotics Law & Policy at the University of Windsor. She is currently completing her Ph.D. in Law at the University of Ottawa, under the supervision of CLTS Faculty member Ian Kerr. Prior to starting her Ph.D., she clerked for the Honourable Madam Justice Rosalie Abella at the Supreme Court of Canada and she also clerked for the Alberta Court of Queen’s Bench. She is a member of the Law Society of Alberta. Dr. Jacquelyn Burkell is an Associate Professor and Vice-Dean, Research in the Faculty of Information and Media Studies at the University of Western Ontario. She holds a PhD in Psychology with a focus on Cognitive Science from the University of Western Ontario. Her research examines the social impact of technology with a particular emphasis on the role of technology in the production and exchange of information. Within this broad frame, she is currently examining a range of issues including online information privacy, the ethical implications of artificial intelligence, especially in the justice sector, and the role of trust in the human-technology interface. A long time collaborator of Centre’s projects, Dr. Burkell is a co-investigator on the eQuality Project, and works with Prof. Bailey, Kerr, Martin-Bariteau and Salyzyn on several projects relating to the ethics and policy of robotics and Artificial Intelligence.